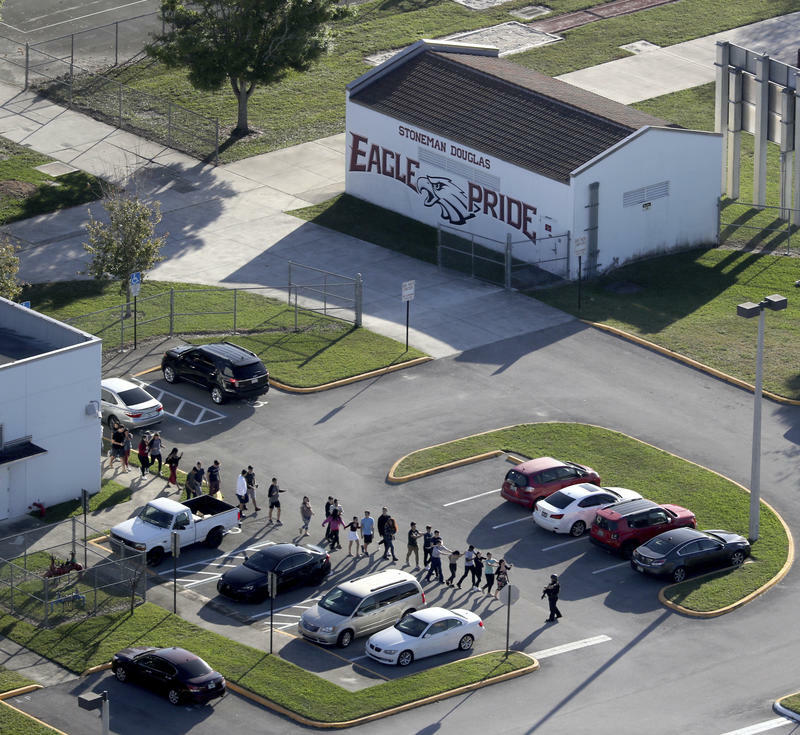 Incident reports have outlined some of the difficulties law enforcement faced dealing with the incident in Parkland. Michael Moser is the public information officer for the Coral Springs-Parkland Fire Department and was the incident officer on the scene during the shooting. Megan O’Matz is a reporter for The Sun Sentinel and reported on the new public information report. Moser and O’Matz joined Sundial to talk about the incident report and fire department protocols in similar situations. You can read or hear below some excerpts of the conversation. BSO didn't answer to WLRN's invitation to the program or to respond to the facts outlined in the report. WLRN: Here we have the Broward Sheriff's Office, the Coral Springs Police Department, Coral Springs Fire Department and yet paramedics couldn't get into the school because the Sheriff's Office denied it? Why were they [Broward Sheriff's Office] the ones they [Fire Department medics] had to ask for permission? MEGAN O'MATZ: I think the unified command centers are set up for everyone's safety. To coordinate and share information, to make sure that things are getting done and that people are all on the same page. If you don't have a unified command structure that is where breakdowns can occur. I think here there was also the compounded problem that there were difficulties with radio communications. So you had all kinds of breakdowns in communication here. What is the training? How are medics trained? Are you allowed into these situations? MICHAEL MOSER: There are certain situations where you would be. However, there is some criteria that has to be met. There is a common model that was created after Columbine many years ago and it's called, The Rescue Task Force Model. This model pairs paramedics with police officers so that they can enter a dangerous situation, to extract patients out of a situation, bring them out to a treatment area and ultimately transport them. However, again there are some caveats. This rescue task force model -- if at any time during this incident we [the police department] believed that the shooter was still inside of the building…that is no longer a "warzone", that's a "hot zone" and that's an area where the shooter is still believed to be. This rescue task force model is not acceptable in a "hot zone." We talk about the request to deploy the rescue task force and that request was denied by the sheriff's office. We believe that decision [to not deploy] at the time, with the information that I, as the incident commander knew, was the correct decision in some ways. We could not confirm where that shooter was. There are one of three things that need to happen before that hot zone becomes warmer cold and we can go inside. The shooter has to be confirmed deceased. The shooter has to be confirmed in custody. The shooter has to be confirmed fled. Not one of those three things could be confirmed for quite some time after the incident. And because that could not be confirmed that was the reason that the incident commander did not allow us to enter the scene. MOSER: Yeah. And it's a sad state of affairs that we have to think about even doing that in the future. And the possibility of that happening is a reality one day. But just to speak to the situation of going inside, a firefighter and a paramedic's job is inherently dangerous. We know that, we understand that, we deal with that every day but we also will not purposely send members into an area that we know to be an area that there would be a high likelihood that they could be injured or killed. So, again, the future of fire rescue is a scary one that we may have to talk about doing that. When I started in this business 20 years ago I would have never imagined that I would have to put a bulletproof vest.